Ready to put your home on the market? 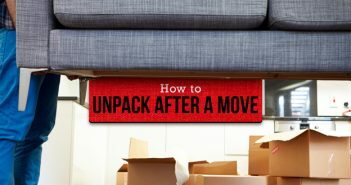 Whether you’re planning to move now or in the coming years, getting your home ready to sell can be intimidating. Some renovations can be helpful while others may actually turn off potential buyers. The goal of your home renovations should be to make it more livable for yourself and look move-in ready to future buyers. 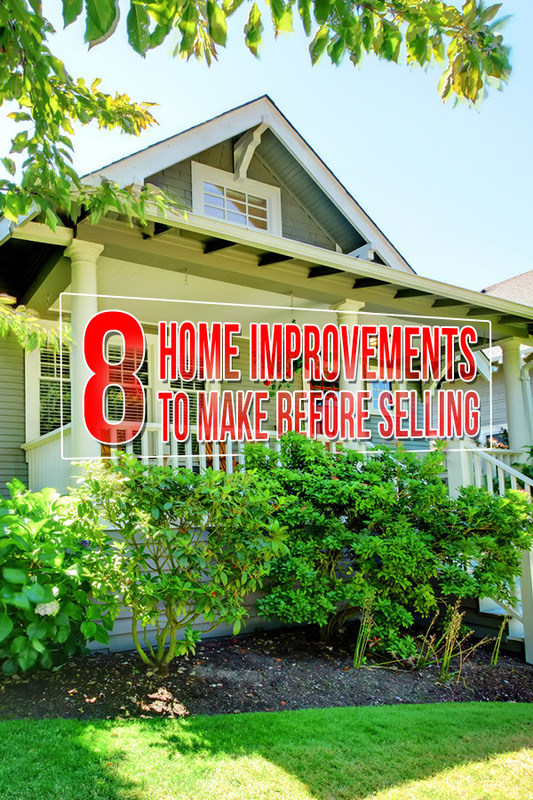 Use this list of home updates to help you attract buyers and speed up the sale of your home. 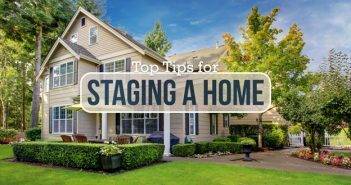 Not sure what to update to sell your home more easily? 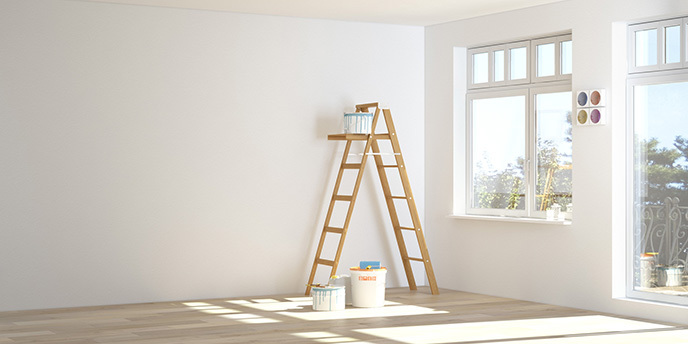 A simple coat of paint in a neutral shade is a great place to start. This update can be completed without a huge investment of time or money. Be sure the new colors still go well with your home décor to further appeal to prospective buyers. What not to do: Avoid what is currently trendy, like wallpaper. Trends can quickly go out of style or not appeal to a buyer’s taste. 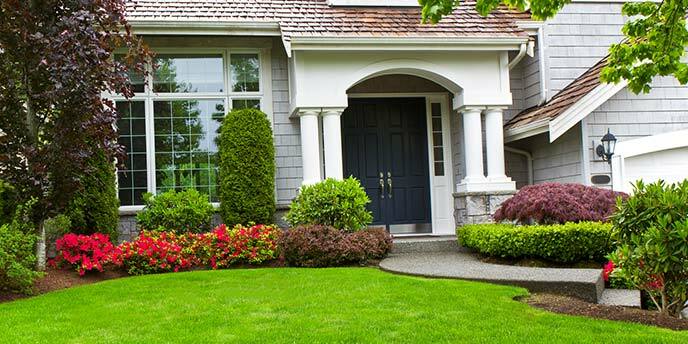 The front of your home is the first thing potential buyers see. 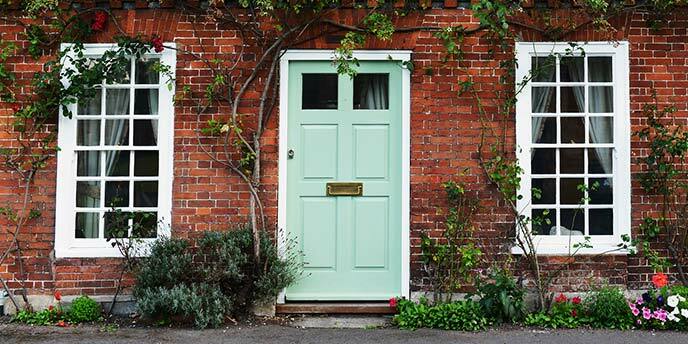 Improve your first impression by painting your front door or replacing it with a new one. A brightly colored front door will make your home more memorable. If you aren’t interested in a colorful front door, you can also replace it with a sturdy new steel door or simply update your old screen door with a glass version for a fresh look. What not to do: Don’t overspend on a front door that doesn’t match the home’s exterior. For a bigger change, purchase a new tub or refinish the existing one and install new floor and wall tiles. What not to do: Don’t create a luxury bathroom. It will not provide the same return on investment as the smaller projects. 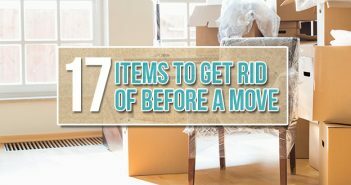 While this update may not directly increase the value of your home, thorough decluttering is the easiest thing to do before putting a house on the market that will help speed up the sale. Clearing out closets and other storage areas will help your home appear roomier and make it easier for others to picture themselves living in your home. What not to do: Don’t hide unwanted items in the garage. Buyers will see them. One of the best home improvements to make before selling is to improve energy efficiency. This can be done in a number of ways. By adding insulation to your home or replacing old appliances for more efficient ones, you can reduce your own electric bill, increase your tax return and improve your resale value. You can market these updates to potential buyers by providing copies of your utility bills or leaving the Energy Star certifications on your new appliances. What not to do: Avoid adding solar panels if you are planning to sell your home in the near future. 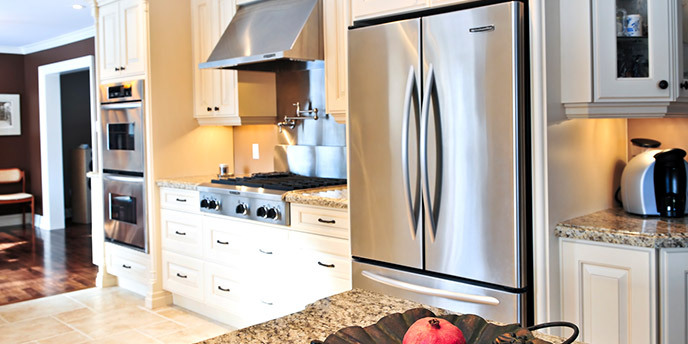 While they add energy efficiency, they require maintenance that will not interest many buyers. Updating your floors is a great way to improve the look and value of your home. While hardwood floors are one of the most expensive options, installing them is one of the best ways to increase your home’s value. If your home currently has them, refinishing hardwood floors is also a great way to increase home value and attract buyers. More affordable options for updating your floors include replacing worn carpeting or installing vinyl floors, either of which may impress potential buyers. What not to do: Don’t select unique patterned tile that may only appeal to you. The outside of your home will be important for attracting viewers and closing the deal. The best home remodels for resale include adding low maintenance curb appeal with attractive landscaping. Removing any high maintenance plants or trees. Edging your sidewalks and driveway. Consider hiring a landscape designer to add hearty plants that look great and require little attention. What not to do: Don’t add high maintenance assets. Large flower beds and topiaries require work and can turn off potential buyers. Want to know how to increase home value before selling? For a home renovation that will make a big impact on your sale price, consider finishing your basement. While the cost of a basement remodel may seem high, this investment will return more during a sale than any other update. An external home addition will cost more and add less value to your home than a basement remodel, making it a far more cost-effective way to add space. What not to do: Don’t skip the building permits when finishing your basement. If your basement remodel isn’t permitted and inspected correctly, you may not be able to add the value of the renovation to the price of your home. Now that you know the best home remodels for resale, learn more about finding a real estate agent, staging your home and moving.